Since the devastating war of the sixties, and massive reforms in the nineties, Vietnam, now 90 million strong, ranks amongst the top ten most promising growth economies in the world. Things have changed. Yet, 67 of Vietnam’s 113 people groups remain unreached and isolated, and as a mostly Buddhist nation (54%) the activities of Christian believers (8%) remains restricted. The need for a Vietnamese and minority language Christian resources has never been greater. 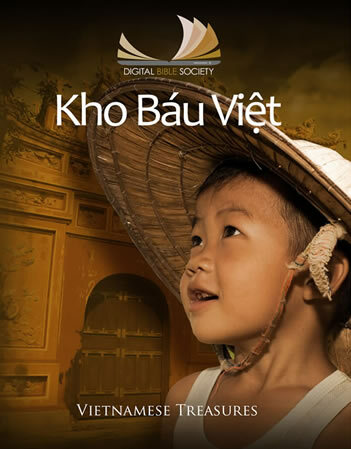 The Digital Bible Society, in partnership with numerous ministries with a heart for the Vietnam, has created the Vietnamese Treasures library, which includes Bibles, audio Scriptures, books, commentaries, language tools, evangelistic videos and audio recordings – all in Vietnamese. Future plans are to increasingly build in discipleship and training resources, as well as, minority language Bibles and content.